Lawmakers in Illinois are considering legislation that would impose patient limits on hospital nurses, according to NPR Illinois. Under the proposed legislation, hospitals would be required to limit nurses to four patients or fewer. Units like maternity wards, intensive care units and emergency rooms would see lower patient-to-nurse ratios. While nurses with the Illinois Nurses Association argue patient limits would improve care outcomes and safety, hospital administrators said evidence isn't conclusive on the success of nurse-to-patient ratios. A.J. Wilhelmi, president and CEO of the Illinois Health and Hospital Association, said the limits could raise healthcare costs by more than $2 billion each year, according to NPR Illinois. 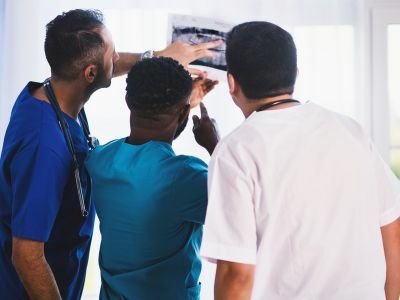 "There is no conclusive evidence that these one size fit all nurse staffing ratios actually improve patient outcomes or the quality of care," he said.